In this delightful forty-six page book Shelby Squirrel learns to rethink, reuse, and recycle our Earth’s precious resources. She meets a distressed, homeless bluebird in need of a friend. See how Shelby uses her newfound knowledge to bring singing back to the forest. Celebrate Earth Day and join me in exploring what squirrels eat. After all, Shelby must stay strong to make an impact and do her part in saving the earth. Squirrels eat almost anything but they certainly have preferences. They prefer fruit, nuts, insects and fungi. In the fall squirrels eat more than usual to get fat, which provides both warmth and energy. Squirrels have a strong sense of smell and can dig out their stored foods from beneath snow drifts. They don’t find all the nuts they bury, so in the spring new trees sprout up. Therefore, in addition to being cute and fun to watch and an introduction to interest children in wildlife, squirrels help spread new trees, which is an important ecological benefit. Thank you squirrels. 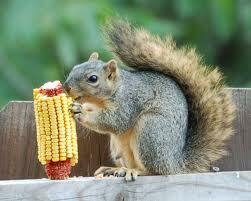 Squirrels are primarily vegetarians but when times get tough they will eat bird eggs and snails. They never eat anything bigger than themselves so coyotes and wolves are safe. Here’s a dish you and Shelby Squirrel would love to eat. It has nuts and mushrooms in a flavorful vegetarian meatloaf. It is so tasty that you will not miss the meat. Shelby wouldn’t. Heat the oil and fry the onion and garlic until soft. Grind the cashew nuts, then mix with the breadcrumbs. Mix in the mashed parsnips, rosemary, and thyme. Add the onion, being sure to scrape all the juices into the mixture. Melt the butter in a skillet and fry the chopped mushrooms until soft. Grease a 2-pound loaf pan, then press in half the nut mixture. Cover with a layer of mushrooms and top with the rest of the nut mixture. Yield: 6 to 8 servings depending on how you slice it. But no matter how you slice it you have some good groceries here, Shelby would love it too. Trouble on Earth Day is available at a discounted price on my blog: http://educationtipster.blogspot.com and through Amazon, B & N, and other online stores. Sh Sh Sh Let the Baby Sleep is available through the publisher, http://guardianangelpublishing.com/shshsh.htm and through Amazon, B & N, and other online stores. Throughout the book tour visitors will be asked to send their best EARTH photo to dancekam1@yahoo.com to be displayed on the last day of the tour. A winner will be selected and awarded a $10 gift card. THANKS FOR HOSTING ME ON MY BOOK TOUR HONEY. Sounds like Shelby is one smart Squirrel. I didn't know they had a strong sense of smell. I guess you can teach an old dog new tricks!! The Cashew Mushroom Loaf sounds GREAT!! MARIAN ALLEN: Thanks for reinforcing what I believe, I am with you here, will probably not have leftovers for Shelby. KATHY STEMKE: Hey sweet baby girl, your book is tremendous and will benefit all the children who read it and enjoy the activities. MY JOURNEY WITH CANDIDA: I have always loved squirrels, watching them scamper, or climb trees or when they sit and eat using their two front paws. I can attest to the taste of this loaf. Hi, Anthony. Nice combo of Earth Day and an earthy recipe. I'm visualizing the result as a dense, high energy snack that could be taken on a backpacking trek. Yum! We don't get squirrels here in Oz, we get possums. They have a similar diet though. That cashew mushroom loaf sounds yum. I'm going to try it on the weekend. BILLKIRKWRITES: Thank you Bill. I don't think it is too dense but you could wrap it well and take it on a hike. I hope you enjoy the cashew mushroom loaf. I enjoyed learning more about squirrels. Kathy, I hope lots of children get a chance to read this book. It has a wonderful message. THE GOLDEN EAGLE: It is, Thanks. 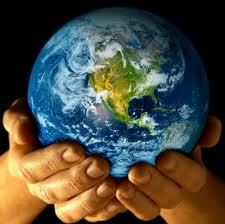 SUSANNE DRAZIC: I cannot thank you enough for your hospitality concerning Trouble On Earth Day. It is a valuable learning tool. Delicious recipe. Books sounds good for kids sure going to take a look at it. First time to your space and thanks for sharing such a good recipe.I'm sure my kids would love it. once again thanks a bunch. 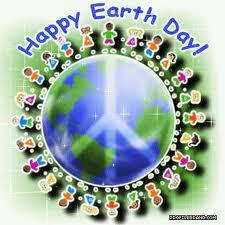 SWATHI IYER: Ask your local library to get "Trouble on Earth Day" Kids love it. The recipe is nice, Thanks for calling. RADHIKA: I'm glad you like the Cashew Mushroom loaf. Your kids will love the book as well. Thank You for calling. Thanks to all commenters for participating in my book tour. It's wonderful to see so many people concerned with conservation and the education of our children. "... squirrels help spread new trees, which is an important ecological benefit. Thank you squirrels." I did not know this! Thank you, Anthony! MAHA: Thank you for your kind words. DAWN@lIGHTEN UP! : You're welcome Dawn. Get comfortable if you are at home. I can see it now: the new spring 2012 squirrel diet. Sounds delicious, though. Well, maybe not the snails. MISSED PERIODS: Definatley not the snails, even escargot. There's a lot happening in this post. Every time I visit your blog I want to take time to flip through most of Kathy's stuff. But it never happens. But I will, sooner or later...because we need to slow down sooner or later. You come up with fantastic recipes...really, am not kidding! the recipe looks inviting with the items you have selected... mouthwatering! Thanks for making my tour a success everyone. SPICE UP THE CURRY: Thanks, we love it too. MARGO KELLY: Thank you8 for your complimentary comments Margo. you have a great weekend too. THE JUNKIE BOOK: On behalf of Kathy, Thank You very much. TORVIEWTORONTO: Thank You for your kind words. We love that recipe. HEAVENS GARDEN: Thanks, it is a wonderful recipe, we love it. DANYANTI: We love it too, Thyanks for commenting. It's wonderful when writers produce useful books like this one that teach children about animals and our environment. That squirrel in the picture is cute. Makes me wish we had them in Jamaica. I'm going to try the recipe. Thanks. J.L. CAMPBELL: Yes, I remember when I was a youngster certain books were very important. 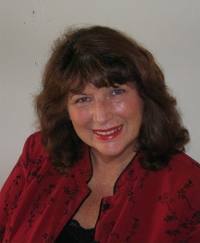 I grew up in Jamaica, N.Y.
MARY JO GUGLIELMO: You will enjoy the recipe as much as children love "Trouble on Earth Day". The world should know. History in the making.